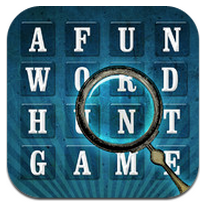 Creating a new standard for digital word puzzles, the Corona-built Word Hunt – Word Search combines the principles of a classic game, with awesome steampunk graphics that pop right off the screen. For adventurous wordsmiths, Word Hunt – Word Search features over 50 categories of words, ranging from sports, to world currencies to Shakespeare. The game provides three levels of difficulty, with harder levels presenting more rows, columns and words to discover. 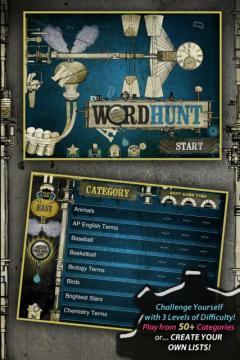 My favorite element of the game was having the ability to build my own Word Hunt list. After creating a “dogs” category, I customized my list by adding over a dozen dog breeds that I then uncovered in a maze of letters. Tapsforss is an arcade-physics puzzler that forces you to defy gravity by guiding a crystal ball from nest to nest in underground caves. As you tap buttons on the screen, you apply force to the ball, moving it upwards or to the right or left to guide it to safety. The treacherous terrain of the caves is filled with jagged surfaces and obstacles – make sure to avoid these as you navigate your ball through each level. 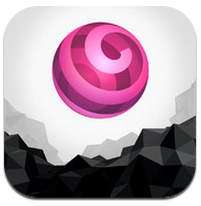 If you’re up for a challenge, download Tapforss and enjoy an intriguing and beautiful mobile adventure.